Gluten free options as well! Enjoy our delicious dishes available for dine-in, delivery, takeout and catering in Los Angeles. We have a gluten free options for a large portion of our menu! Online Ordering Available. Large tender meatballs served with meat sauce. Served hot, buttery, and seasoned with garlic and cheese. Spaghetti, Linguine, Penne, Roteli, Angel Hair or Rigatoni Whole Wheat & Gluten free options as well! A tender boneless breast of chicken lightly coated with seasoned bread crumbs, in a special wine and tomato sauce and topped with melted mozzarella cheese. Broiled with herbs, garlic, and cheese. 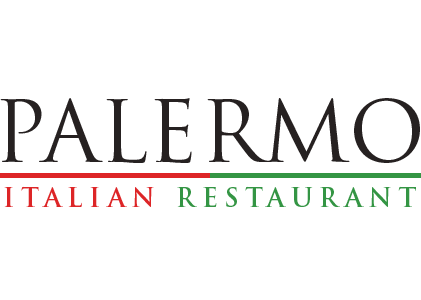 Located on 1858 N Vermont Ave in Los Angeles, Palermo's specializes in crafting mouth-watering italian cuisine and providing superb customer service. Our meals are prepared fresh to order and made with pride. Order online for delivery or pickup, and you'll quickly see why we're simply the best!